Given the grit of Prime Minister Narendra Modi, Kashmir problem will be solved by 2019, senior BJP leader Subramanian Swamy claimed today even as he pitched for undertaking major economic reforms once the NDA Government “puts house in order” to become leading economy of the world. “Sardar Patel, the man who welded 600 kingdoms into one India...Sardar Patel sat with each of them... and saw not 600, but 500 of those merge with India. “Only one (kingdom) he could not carry through, he although got the king to sign, but Mr Jawaharlal Nehru took over, it was Kashmir. And that headache is still there. But am positive given the grit of Mr Narendra Modi, by 2019, we will have solved the Kashmir problem,” Swamy said. 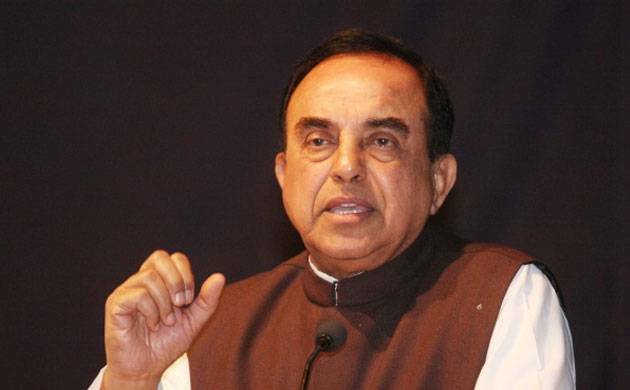 Swamy made the remarks while delivering a talk on ‘India in Global Economy’ during an event, organised here by Delhi Study Group to felicitate the leader on his becoming a Rajya Sabha member. The former Union Minister noted India is currently in a state where “it will lag behind if it doesn’t act upon its potential” and said the time has come for it to think about major economic reforms “as soon as the NDA Government puts its house in order which it has been doing for years”. He also pressed for following democracy along with market economy in which regulation of government will be minimal and will act more like an “umpire and ambulance occasionally”. “And in that the consumers and the producers have to be empowered...that is the model we will have to move (in the direction of). We moved very rapidly in the 90s, but then we stopped... I think time has come for us to think in terms of major economic reforms as soon as we put the house in order which we have been trying to do over the last two years,” he added. India has both “skilled and cheap” labour, but “nobody” wants to come to the country as it has got “lousy” infrastructure, he said. “And therefore, Mr Nitin Gadkari is working on that and I think by the time we finish the five years, we will have world class infrastructure thanks to his dynamism and then they come,” he said. Stating Walmart, an American multinational operating chain of hypermarkets, is “trying hard to come to India”, Swamy said there “will not be a level-playing field” when the same happens and blamed RBI Governor Raghuram Rajan for that. India, the competitor trader he gets, thanks to Raghuram Rajan, 12 per cent interest rates and in the informal market 25 per cent interest rate. How can you compete?” he questioned.